BlackBerry has hit the pause button on its update to OS 10.3.1 for older Z10 and Q10 models as complaints over battery life, hardware performance, and other issues mount. This will not be the first time BlackBerry has had to put the brakes on this latest update. Late last month, issues with screen flickering on the new BlackBerry Passport required the company to patch things up before resuming upgrading the device to OS 10.3.1. For the older BlackBerry Q10 and BlackBerry Z10 devices, the issues are a bit more pervasive, though the company did not state what all the issues were. Based on what members of the BlackBerry community are talking about in various online forums, battery performance has apparently taken a hit. There were complaints of devices becoming very hot, as if the CPUs were being overly taxed, as well. We had seen previously that volume output on the Q10’s speaker was negatively impacted following the 10.3.1 update. A fix is certainly in the works, and given the issues encountered, if you have not updated your BlackBerry OS yet, that is probably for the better. OS 10.3.1 brings BlackBerry Assistant, a voice-activated digital assistant akin to Apple’s Siri, Google Now, or Windows Phone Cortana. Also part of the update is BlackBerry Blend, which enables you to access portions of your BlackBerry with your computer or tablet. BlackBerry Hub with Instant Actions is part of the update too, bringing the ability to organize various communication (BBM, email, SMS, social media, et al) within the Hub. Using Instant Actions, you can organize everything without having to look through each message. No word for now as to when updates will resume. No, the BlackBerry Z3 is not one of the devices affected. 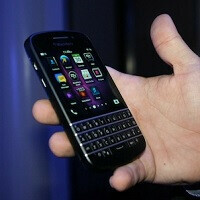 It's contained to the Z10 and Q10 only. The end for BB is VERY NEARhttp://www.benzinga.com/analyst-ratings/reiteration/15/03/5329170/blackberry-sales-not-even-close-says-morgan-stanley After John Chen trolling and lie-ing by saying Passport & Classic sells very well, the truth come out, it ain't pretty for BB. Updated my Q10 to 10.3.1 and there haven't been any problems with it. It seems only a limited # of devices have been affected. I'm certain BlackBerry will have a fix for these devices very soon. I also have a Passport and Z30 running BB10.3.1 without any issues as well. How can you be certain? Do you work for them? They wonder why? They will continue to have these issues if they keep using S4 chips. The BlackBerry Classic uses an S4 chip and it doesn't have any of these issues, so there goes that theory right out the window. I doubt the low end BlackBerry Leap will have those issues. Flagship BlackBerry's, like the Passport, do not use S4 chips at all. The BlackBerry Z30 also uses an S4 chip, and hasn't had any issues with the 10.3.1 update. It's not limited to a certain SoC SKU. There are Z30's getting the "Black Screen of Death" and Passports having the flickering screen issue and battery life and heating problems, not to mention the Z10 and Q10 issues. It's just a 10.3.1 issue, and every manufacturer has issues with updates at times. I'm have yet to have any of those problems on my Passport, Z30, or my Q10. I am well aware that there are some that experience these problems, and that it's not limited to a certain SoC SKU. That's why I responded the way I did to UglyFrank. I'm also aware that every manufacturer has issues with updates from time to time. Glad you pointed that out. There are some fanboys here on this very post that think that their favorite OS is immune to such things. I wasn't trying to insinuate it is pervasive, just that it seems to be the update itself and it isn't universal. I only noticed because I have been active on the Crackberry forums this week, after an extended absence, as I try to figure out if I want another unlocked Passport, the AT&T variant, or just wait to see "The Slider." Anywho, those who don't understand BB10 sometimes has issues with updates, same as Android, iOS, and WP, are just ignorant fanboys and a waste of breath. They have created their own personal "walled gardens" where their preferred vendor/OS is perfect, and everyone else's is inferior. I pity them. I wasn't saying you were insinuating that. My apologies if that's what you got from my response. I have an unlocked Passport purchased from Amazon. I prefer the square build. It's different. I'm looking forward to their new slider phone. If the rumored specs are true, it's going to be a beast. I totally agree with your last paragraph. There are too many fanboys that come to BlackBerry articles (as well as others) just to promote their fav OS while downing another OS. Why even bother? If an individual doesn't like BB10, why even comment on a BlackBerry article then? I pity them as well. Apparently they still have plenty of those S4 chip. What's that got to do with the price of rice in Saigon? Nothing. As there were no BB user around saigon. Saigon no longer "exists". It's been merged with the rest of Vietnam. BlackBerry does indeed have a presence in Vietnam. If you're going to troll, at least be factual. If this was 2008 I was going to be really exited on this new BB device. As I quote "If it was 2008"
Updated my Z30 and works perfect love it. I am waiting to update my Passport cause I don't think they have made a 100% fix for the screen flickering but I don't care cause running OS 10.2.0.908 I absolutely love this phone. It's so darn fast and love the three row keyboard. LOVE!!!! I'd rather this than any iPhone or most Android phones. Every phone can have a drawback and the ones on the Passport are negligible. I updated my blackberry Passport over a week ago, heard about the screen flickering issues a day or two after the update but did not have any problems until yesterday when the screen started flickering and went black. It was so bad that I could not use the phone and turned it off. After I turned it on again it was back to normal. This morning I turned the phone on ( I turn my phone off before I go to sleep ) and so far OK, no problems. Yeah and if it comes back do a hard rest that is supposed to work also. There is a fix on Crackberry but you will have to use an OS leak from BlackBerry. I own the Z30, here are my issues: (1). The display is intended for the Passport; on my Z30, the screen auto zooms and requires constant adjustment. (2). The Evolution Browser does not open articles on Creationism (joke) The browser however resets itself while in Private Browser mode thus closing all of my opened tabs. These are the main issues. Wow that's weird, did you do a hard reset? I updated my Z30 and it worked perfectly. Not only did it work fine it worked way better as in quicker in overall performance and opening android app was way faster, just seconds behind the Passport. I would try wiping it and starting over and adding all your apps after you finished updating it again. Good luck brother. I agree with Farrid. When I updated my Z30, I had absolutely no issues whatsoever. The performance has actually improved. Do a hard reset like Farrid has suggested. That should fix the problem. Let us know how it goes.